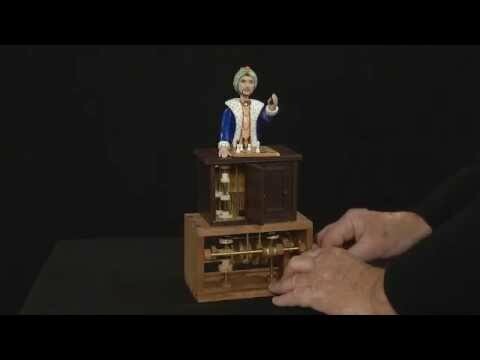 The Chessplayer automaton by Pierre Mayer . It was a project that was in the back of my mind many years ago. 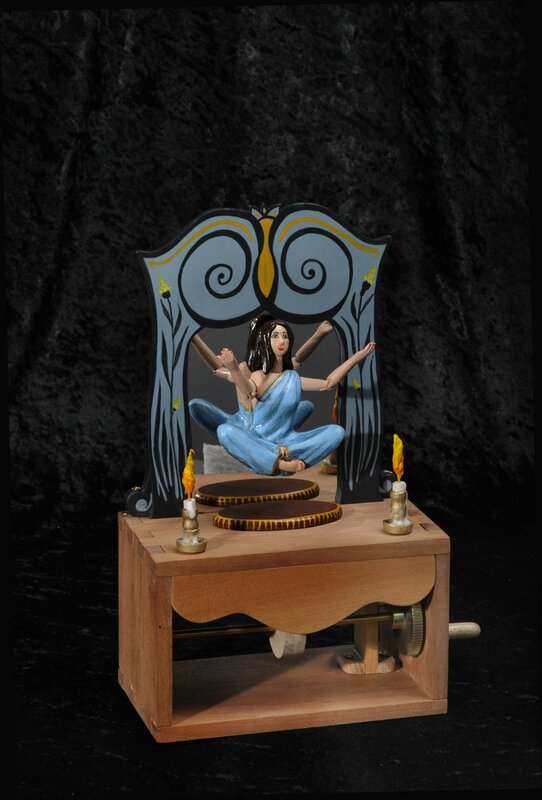 I consulted my late friend Christian Fechner who advised me to use moving gears inside the cabinet. Then I asked the legendary John Gaughan, creator and restorer of large scale magical automata. Finally Abdul Alafrez, magician, actor and theatre special effects consultant came with the solution I needed. With my talented co-worker Cathy Rivers we then solved the different problems one by one. The crank is turned, the left door opens showing an empty cabinet all the way inside except for moving gears. 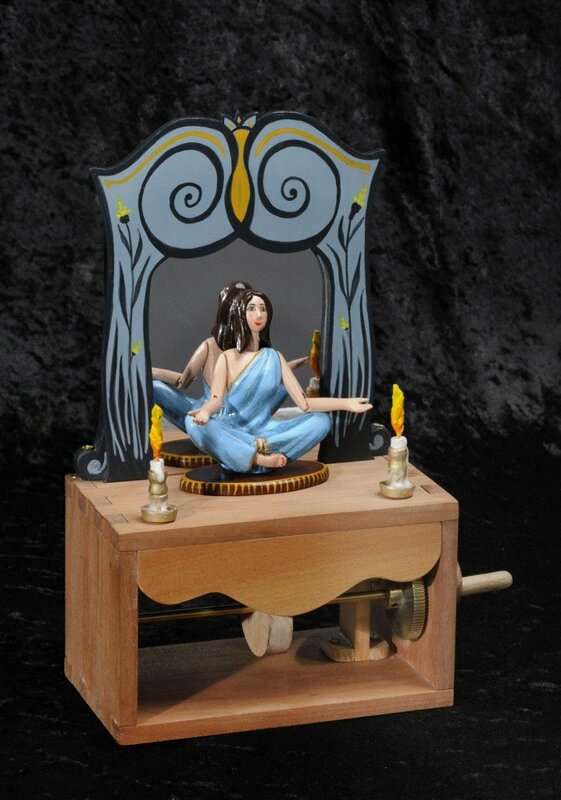 The left door closes, the right one opens and a little man is seeing activating a lever supposed to lift the automaton’s left hand.